My latest essay for Dark Mountain has just been posted. 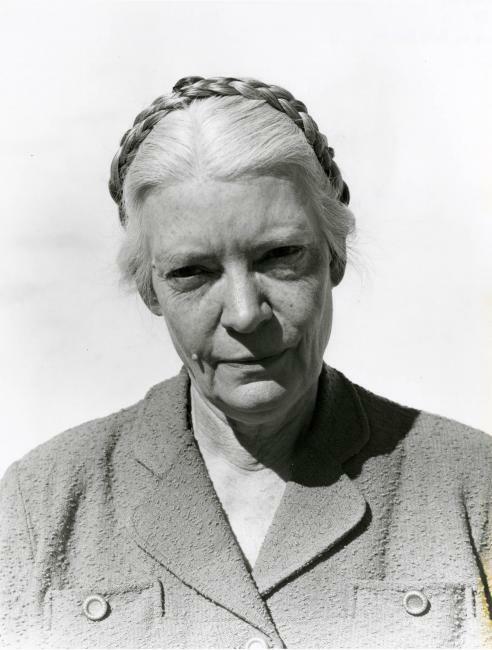 It covers a good Rebecca Solnit book about the communities that form after natural disasters, an Edward Abbey novel about a post-apocalyptic America, and Dorothy Day's memoir The Long Loneliness (her picture is below). I tried to use the three books to get at what bothers me about certain American writers and their glorification of self-sufficiency, an ideal (or rather, a way of naming an ideal) that has always struck me as ludicrous, since from birth to death we are never anything but dependent, both on other people and the natural world. All we can aim for is closer relationships, rather than distant and impenetrable ones, with a world on which we are always and entirely dependent; this is all "self-sufficiency" can really mean. Maybe a new term is in order? Also, readers of this blog may remember that I am a fan of the Sicilian writer Leonardo Sciascia. I reviewed another novel of his called Equal Danger for my Lost Classics series on the Ploughshares blog. (A previous entry dealt with an excellent novel by Selma Lagerlof.) Please feel free to suggest other books that might be good to review. I was planning to write about David Jones's long WWI poem In Parenthesis but ended up getting rather confused about what was going on and finally put it aside, to be taken up (maybe) on another day.